Produktinformationen "SEOUL | Seoul Selection Guides (Reiseführer)"
The most comprehensive guidebook to the city of Seoul ever released, SEOUL contains 464 pages of in-depth travel information, helpful tips, background information on culture and history, detailed maps and beautiful photographs. Making full use of Seoul Selection�s vast knowledge of the city, the guidebook is perfect not only for tourists visiting Seoul on holiday, but also for veterans of the metropolis looking for a deeper understanding of its history and culture. 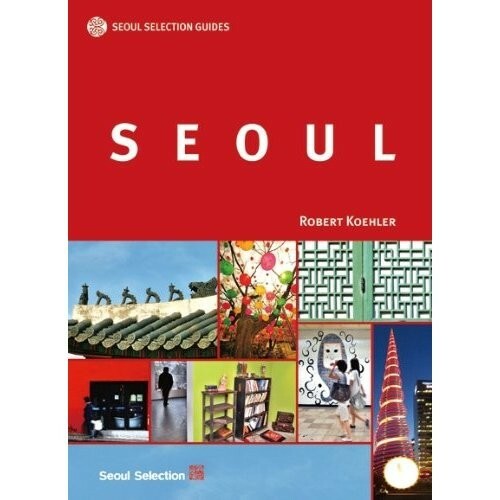 Seoul Selection Guides: Seoul aims to be the definitive guide to Korea�s historic capitals. For reader convenience, it is divided into two sections: Part 1 introduces things to do and see in Seoul, while Part 2 covers basic tourist information. � Seoul�s Best 7: A photographic guide to the city�s highlights. � History of Seoul: 600 years of Seoul history, put in compact and easy-to-read form. � Maps: Illustrated and coordinated maps to help you get around. � Travel Tips: Helpful advice on tourist destinations. � History and Culture Notes: Interesting stories and background information to enrich your travel experience. A native of Long Island, New York, Robert Koehler has lived in Korea since 1997. Readers of this magazine know him best as the editor-in-chief of SEOUL, Seoul Selection�s monthly travel magazine. Prior to joining Seoul Selection, he worked as a translator for a major Korean newspaper and, before that, an English teacher in the Korean countryside. In addition to this guidebook, he has also co-authored the best-selling walking guide "Seoul�s Historic Walks." Weiterführende Links zu "SEOUL | Seoul Selection Guides (Reiseführer)"
Unser Kommentar zu "SEOUL | Seoul Selection Guides (Reiseführer)"
Kundenbewertungen für "SEOUL | Seoul Selection Guides (Reiseführer)"